This case was designed to hold 2 Christie Vista URS Video Routers in an 8 space shock mount rack. 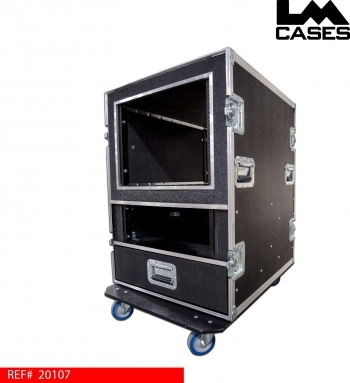 Below the rack on the rear of the case is a 4 space rack section used for custom i/o rack panels. 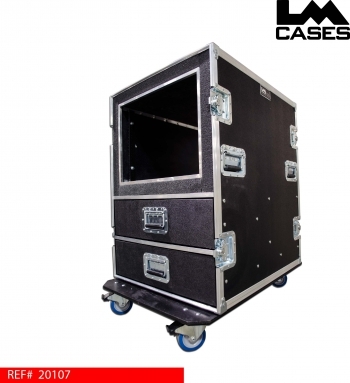 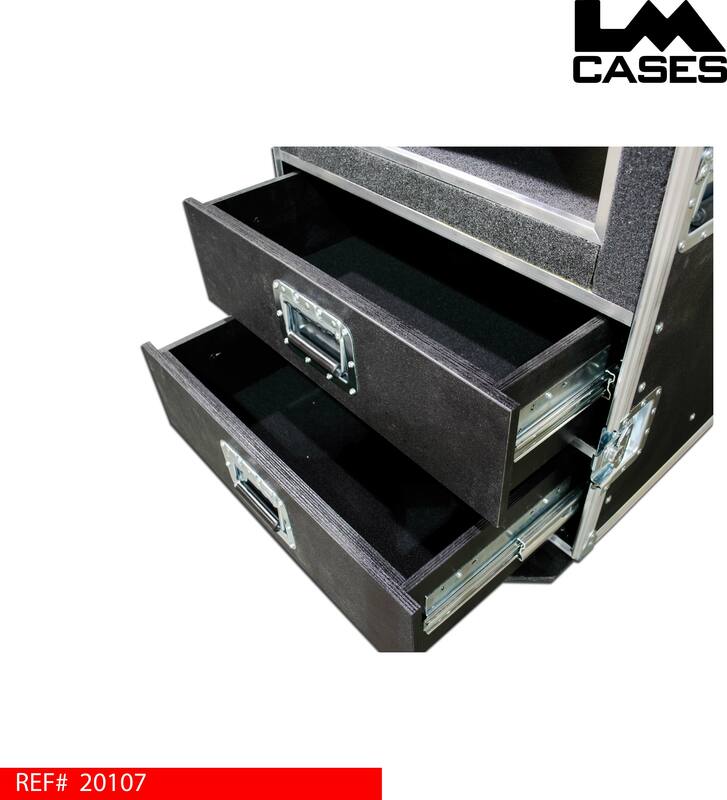 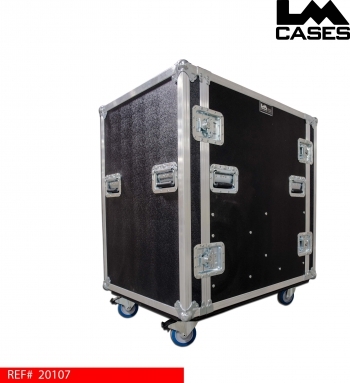 The case features 3 drawers, 2 in the front; and one in the back under the rack mount patch section. Special thanks to Audio Visual Systems in Chicago!